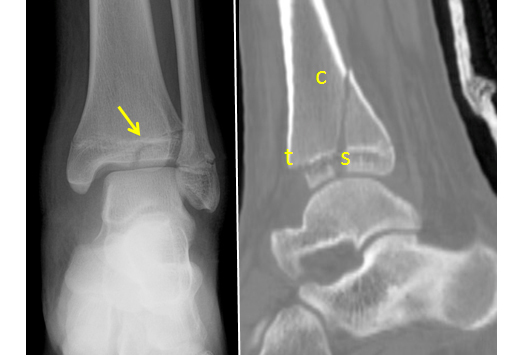 The Salter Harris IV fracture line begins at the joint surface of the epiphysis, extends directly through it, and continues through all layers of the physis and into the metaphysis. 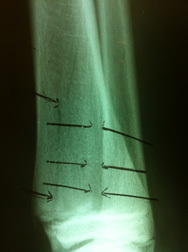 There can be significant rotation and displacement of the fracture. 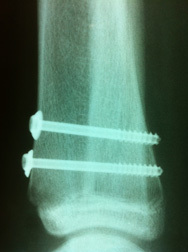 The two major issues in the treatment are prevention of premature closure and preservation of the joint surfaces. 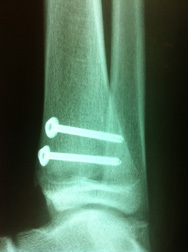 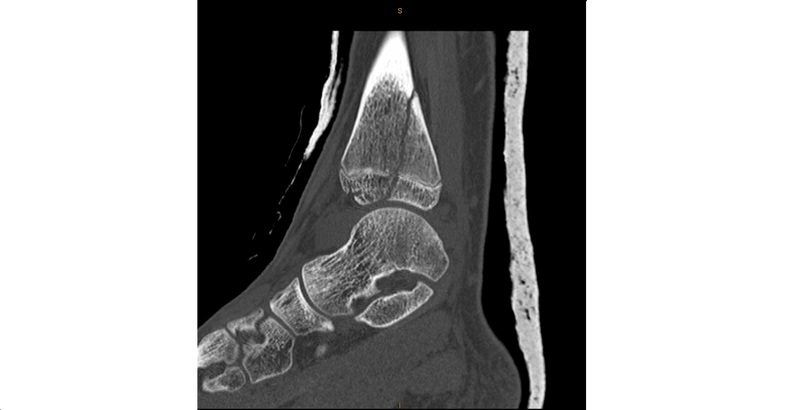 Accurate anatomic reduction is necessary to meet both goals; otherwise these fractures lead to growth arrest. 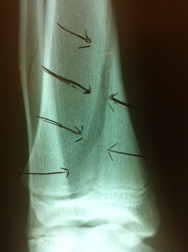 Open anatomic reduction is preferred for these injuries if displacement occurs.